Parquet flooring – how to install and maintain wooden parquet flooring? The tough nature of wooden parquet flooring means it is suitable for most living spaces, from home offices to hallways. It can handle high traffic levels and gives you the timeless appeal of real wood. How is parquet flooring installed? Firstly, you should prepare the subfloor - remove any paint, wax, sealants, adhesives, and debris. Secondly, with a belt sander you should level the subfloor. Finally, tighten any loose areas of the subfloor and you are ready to install you parquet flooring. Mark the centre of each wall and then connect them with the lines. Put parquet flooring on the floor and start from the marked centre. You should apply adhesive and align the parquet flooring. Repeat applying areas of adhesive and laying parquet panels until all except the last row of parquet panels have been laid. Follow our tips and do your parquet flooring by yourself. How to take care for parquet flooring? Just as any other wood flooring, parquet requires special cleaning and maintenance so that it can maintain its lustre for a long time. Firstly, you should prevent scratches on the surface. For example, you should never wear sharp heels on the wooden parquet flooring. Caring for parquet wood flooring also contains regular cleaning. You should clean wooden parquet flooring once a day or every couple of days to get rid of the small bits of dirt that appears on the floor and are able to make scratches in your parquet flooring. In addition – while cleaning your wooden parquet flooring, try to avoid generic cleaners and abrasive cleaners or steel wool to clean your parquet floor. When you are caring for your parquet wood flooring you must also be careful when moving heavy object across the room. If such moving is required, take necessary precautions to protect the floor. How much does parquet flooring cost? It depends on which type of parquet flooring you choose. Nowadays you can choose between various of types of parquet flooring. 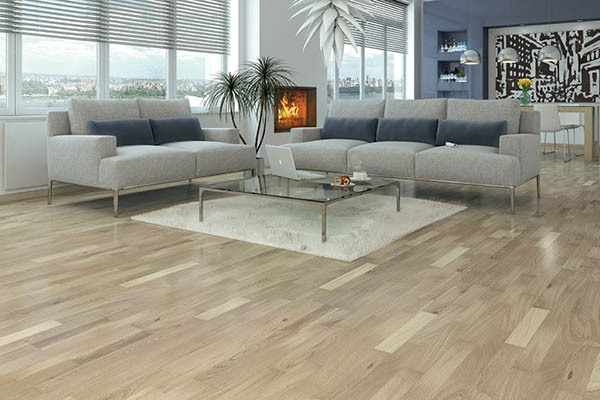 The cost drops if you use laminate with the effect of wooden parquet flooring. Take a look on our online shop and choose your favourite colours and types of wood and make your home your favourite place.